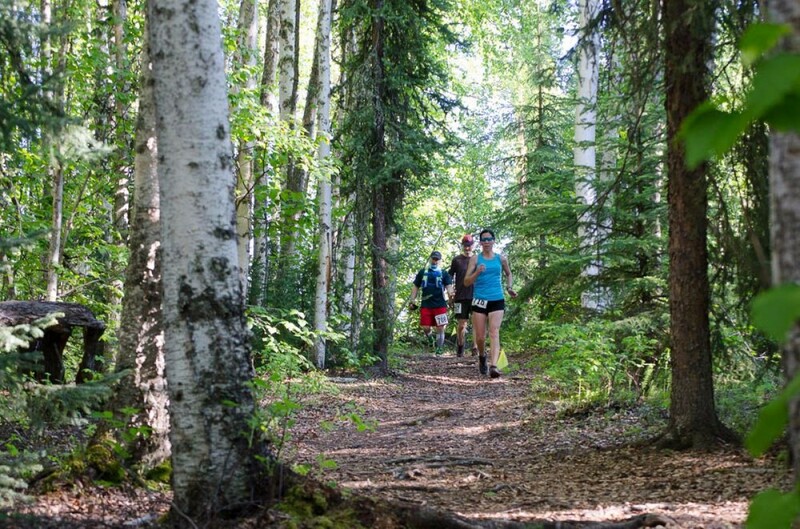 The Alaska Endurance Trail Run. It is a timed race, meaning that runners race the clock to see how far you can go in the allotted time. There are three options: a 6-hour race, a 12-hour race, and a 24-hour race; sign up for any of the three. Most races will finish at the same time, which should make for an exciting completion of the day (particularly for our timers!). Immediately following the final finish, the post-race BBQ party will start, with the awards ceremony as soon as results are ready. It worked out great last year, so once again 6-hour racers can opt to start at either 8AM or 2PM on Saturday. And in 2019, 12-hour racers can start at either 8PM Friday or 8AM Saturday. 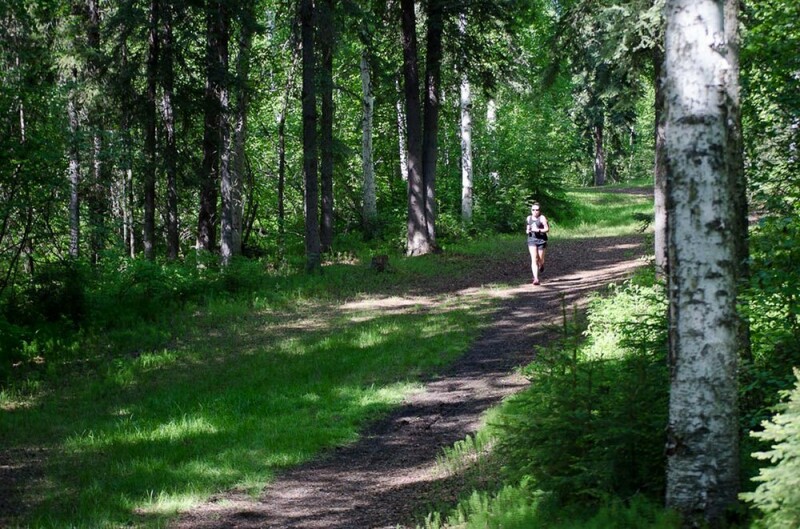 The main AETR course consists of a roughly 6 mile loop on the trails of the University of Alaska Fairbanks (UAF) West Ridge. 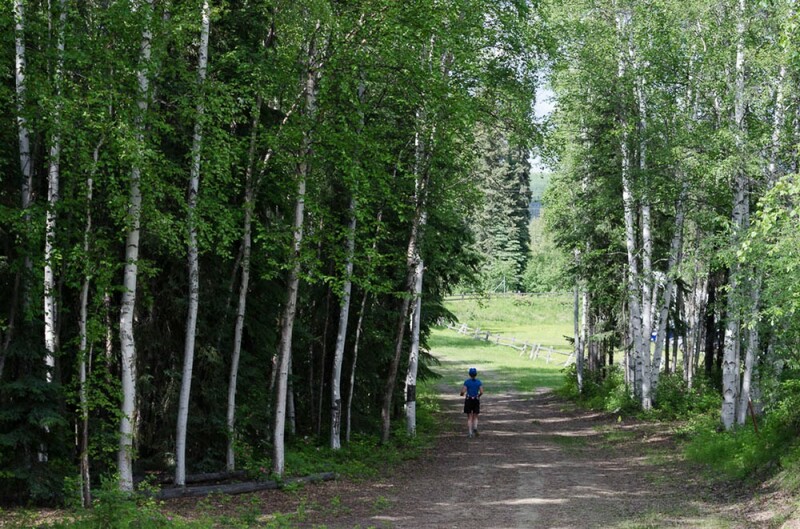 This is a world-class Nordic ski area during the winter, so the trails are well-maintained and reasonably smooth, with gravel, grass, and forest duff surfaces. They pass through heavily forested areas, open fields, and meadows, so there is plenty of variety to keep your interest during the run. There are no road crossings, other than a couple of gravel maintenance roads, and the only concrete is a short section (maybe 300 feet) along a paved bike path on the east side of the course to get around Ballaine Lake. Even there, you can run alongside the bike path on gravel or grass. The trails are mildly technical in places, mainly with roots but also with the occasional fallen branches and trees. Depending on how spring breakup goes, and how much rain we get leading up to the event, there may be some soggy spots.